Think of a typical CEO/ President…. Mounds of paperwork, a desk, 9-5, right? Well Brian Jackson is anything but typical, he is able to roast coffee, brew coffee, and also bring it on adventures! Alongside directing the success of Mighty Missouri Coffee Company he still remains a passionate swimmer, cyclist, and runner. If he’s not immediately reachable, there’s a strong chance he is on the lake in his hometown of Hazen, ND. It doesn’t stop here though, he’s additionally an avid writer for TV and other media, as well as finding time to spend with family and friends! Storytelling plays a key part in Brian’s life and remains the catalyst behind creating Another Day, Another Adventure. This short, planned series will venture into some of the unique aspects of North Dakota that those outside of the state, or even inside, didn’t know existed. From scuba diving to ENDRacing Brian plans to remove the stereotypical stigma floating over North Dakota tourism and display the vast array of adventures hiding right under our noses! This is something a lot of people are excited about so be sure to look out for what is to come in the future! His passions for producing the finest tasting coffee extend further into fueling positive change through the Blood:Water program. Every Blood:Water coffee is able to provide a friend in Africa clean water for one year. Through the life-giving work of Blood:Water, any purchase of a bag of Blood:Water Mighty Missouri Coffee assists local heroes and grass-roots organizations to bring an end to the clean water crisis in Sub Saharan Africa. 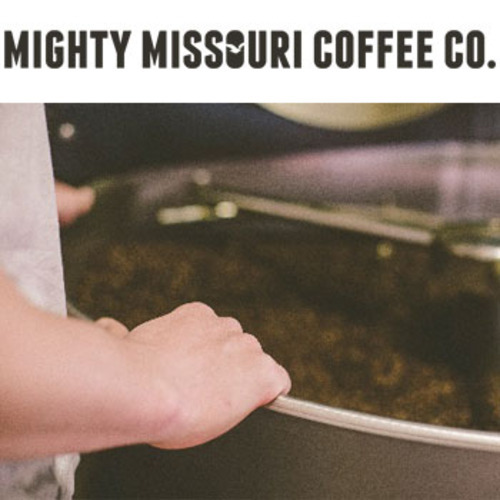 1) How/when did Mighty Missouri Coffee Co. begin? I grew up in Hazen, a small town with good fishing (and sunsets) on the south shore of Lake Sakakawea. It was sort of those experiences on the lake with friends and family that began to build the brand and vision in my mind – something to call to those experiences and bring people together. I think coffee does a good job of bringing people together. In 2013, I took some courses on coffee and learned everything I could and it took off from there. I’m still learning every day. 2) What is the best thing about being an entrepreneur? 3) What is the hardest thing about being an entrepreneur? I’m a team player and building a grassroots team is hard. I am well aware that the more creative diversity that goes into the product, the better it becomes. I get sick of me. Fortunately, I’ve had really great people surround me and help push me further, but the future vision is very much a dynamic team that likes their coffee. 4) Where did you get the idea for Another Day, Another Adventure? Another Day, Another Adventure is a video project that’s been on my mind for several years. It’s only recently taken on the name, but the idea has been the same: highlighting amazing people doing amazing things in this area. There are many. If I could tell a good story and make these passions approachable, everyone benefits. Recently, we had the chance to film the first story with a friend and personal hero, Kelly Magelky. Kelly is the best kind of person. He took us from his life in professional cycling to his successful video production company and told it in an inspirational way. I’m excited for people to see it! 5) Where do you see this program going? It’s hard to tell. I’m open to anything, as long as people can see these stories, and they can continue to be told in an authentic way. Right now it’s been a bit stuck in the fundraising stage, which is frustrating, but everything that is worthwhile has to be fought for. 6) How do you balance a project like this alongside being the CEO of successful coffee company? Both Mighty Missouri Coffee and Another Day, Another Adventure are about good storytelling, and I think that’s where my best talents lie. I still consider Mighty Missouri a startup and I think I’ve been fortunate enough and found the help of some amazing people to watch it grow into something bigger. I’m excited to see what happens over the next few years. 7) Do you have any advice to offer entrepreneurs such as yourself?